RNP offers the colocation service for strategic client institutions, through a physical structure for network elements and servers on its Internet Data Center (IDC) dependencies. The service was planned to provide a high level of infrastructure and management of Information and Communication Technology environment, aiming to meet its clients with guarantees of high availability, security and uninterrupted operation. With prime location in Brasilia, RNP IDC hosts in its installations RNP Point of Presence in the Federal District (PoP-DF) and the Federal Point of Network Interconnection (Ponto Federal de Interconexão de Redes/PTTMetro of Brasília), exchanging traffic locally with the main commercial and federal backbones in the country, which guarantees ease of use to the services made available by the clients hosted on the IDC. In 2012, IDC underwent through improvements in its infrastructure, which allowed for increased capacity and availability. Actions to improve energy efficiency and increasing the area of hosting were also implemented, which allowed to free up space for serving new requests for membership to the service. A strategic point of RNP education and research backbone (Ipê network), with the meeting of multi-gigabit interstate links. RNP IDC is located on a 600m² space, with air conditioning, security and detection and fire fighting systems. It has 19” standard racks, and can host client equipment, in the colocation mode, in a 2U to 44U space, according to necessity, providing an access port (in a switching equipment interface) to the high-speed educational and research network. Electricity: to ensure the safety of the machines and the stability of the services provided in an uninterrupted way, the space has uninterruptible power supplies operating in a parallel redundant system with 50% of the nominal capacity, in addition to a 360 KVA genset with a 10 hours autonomy (1.000 liters), switched per floor. Cooling: the cooling system ensures uninterrupted air conditioning with redundancy. Temperature and humidity control: the temperature and the humidity are controlled by sensors, with measurements and continuous monitoring collection. Fire Prevention: the detection and prevention system includes nondestructive, fast acting and directed detectors and fire extinguishers (FM 200 - HFC 227 ea). Security, monitoring and control: RNP IDC has a security system that includes controlled and restricted access to previously registered and authorized personnel, closed TV circuit and biometric identification. Certified Cabling: Systmax GigaSPEED XL (category 6), making UTP connections possible up to 1 GB/s. 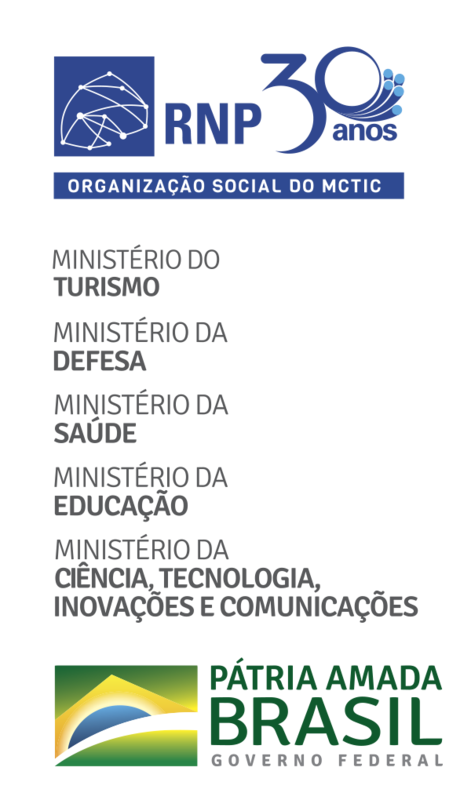 The colocation service is free, but it is restricted to the Ministries of Science, Technology and Innovation (MCTI), Education (MEC), Culture (MinC) and Health, as well as their agencies and research institutes, in addition to science, technology, education, innovation and culture projects considered strategic by RNP General Board. RNP provides space, point of network and physical, electrical and logical infrastructure to house the customer’s equipment safely and with high availability, as well as monitoring services and band according to the service level agreement (SLA). The configuration, management and updating of applications and services are the customer’s responsibility, as well as the provision of rack equipment, software, licenses, invoices, and the application of appropriate security updates that are necessary. The detailed conditions for colocation are expressed in the Terms of Reference for strategic colocation in RNP IDC (in Portuguese). For further information, contact RNP Service Desk da RNP at sd@rnp.br or by phone on (55 61) 3243-4330.